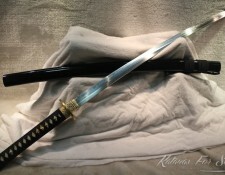 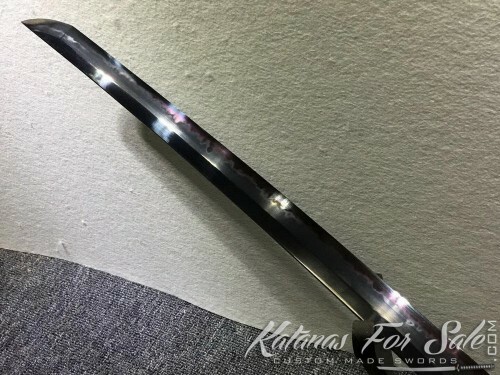 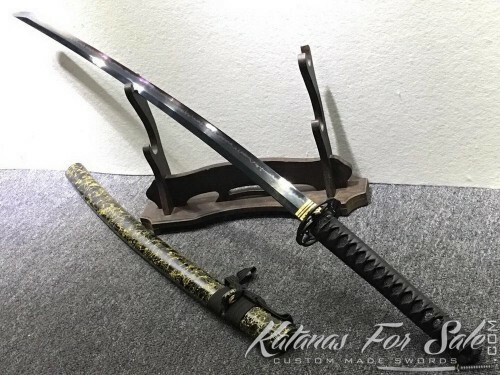 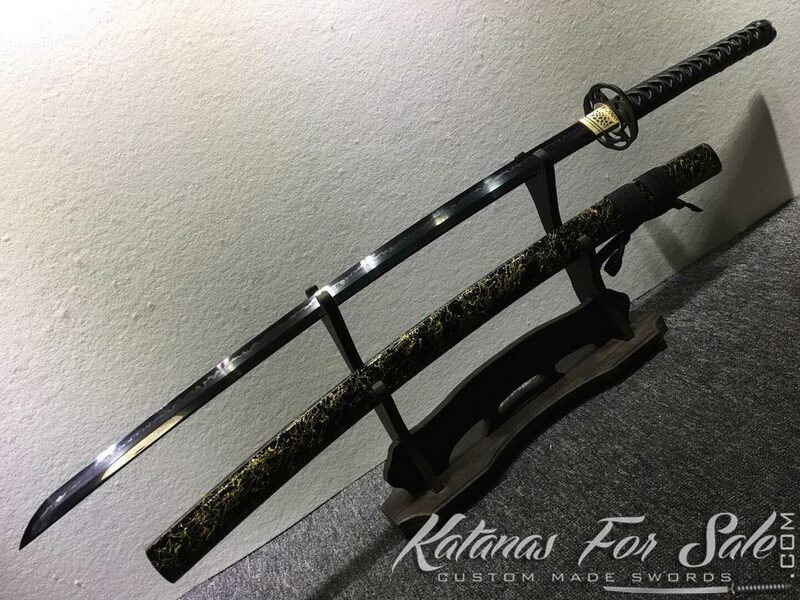 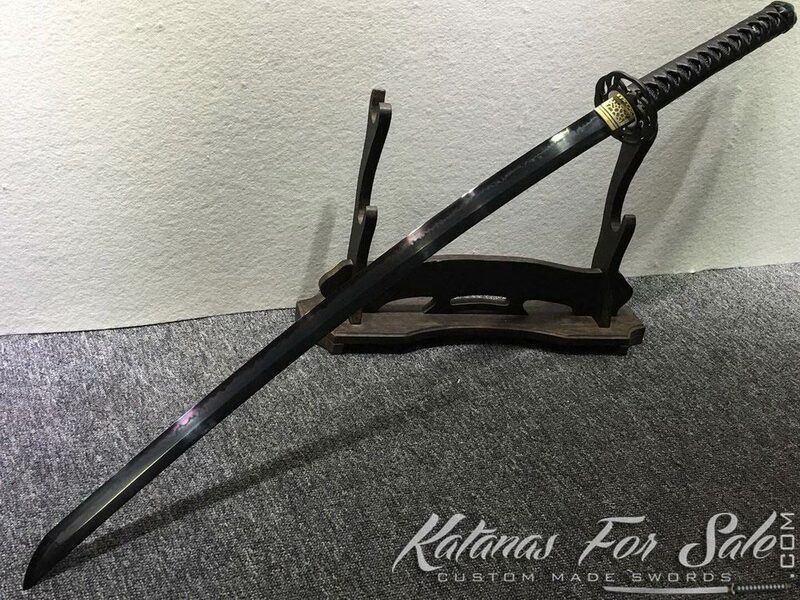 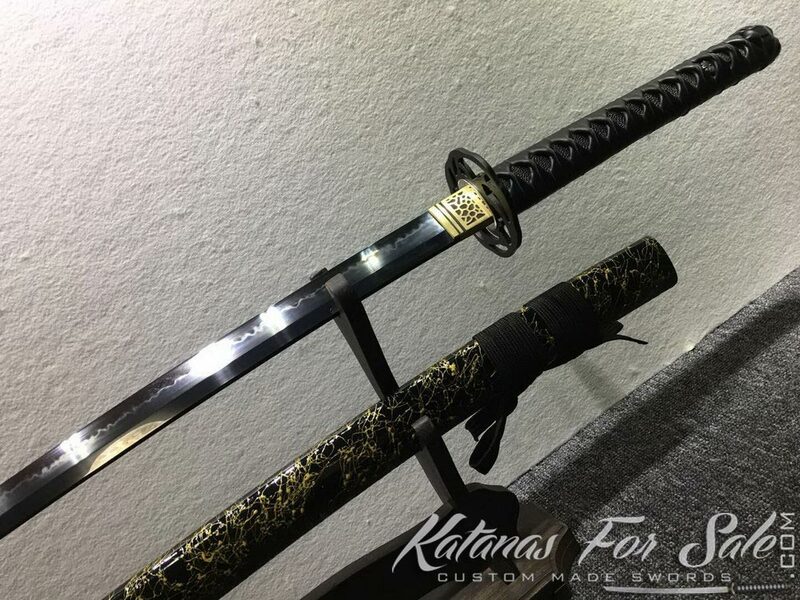 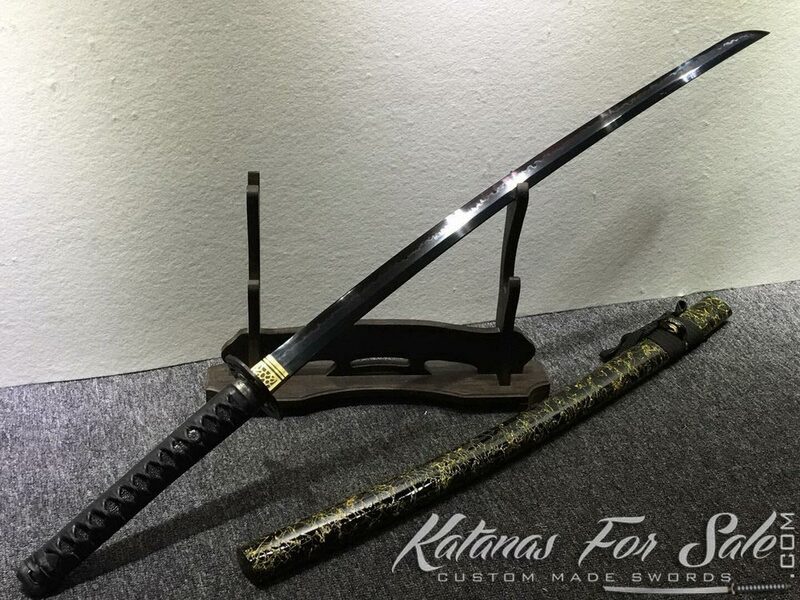 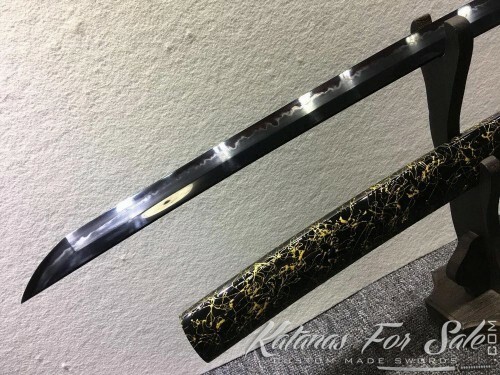 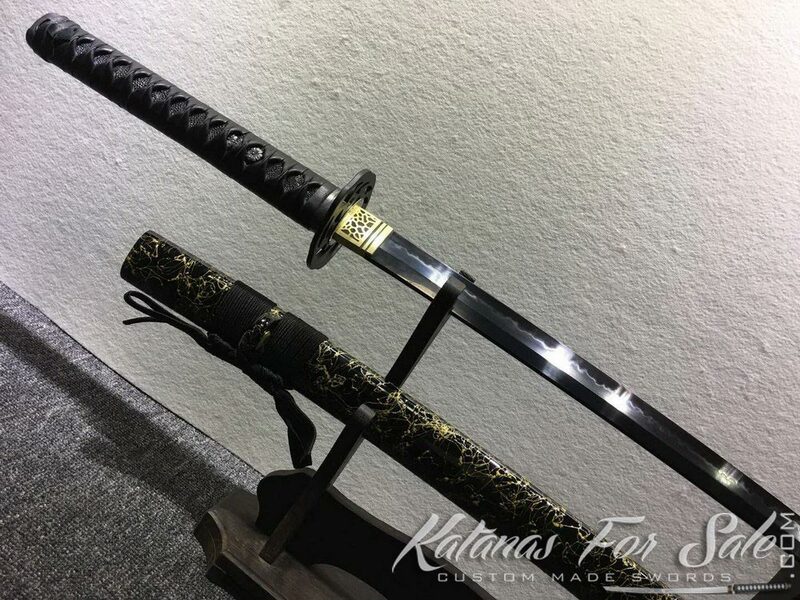 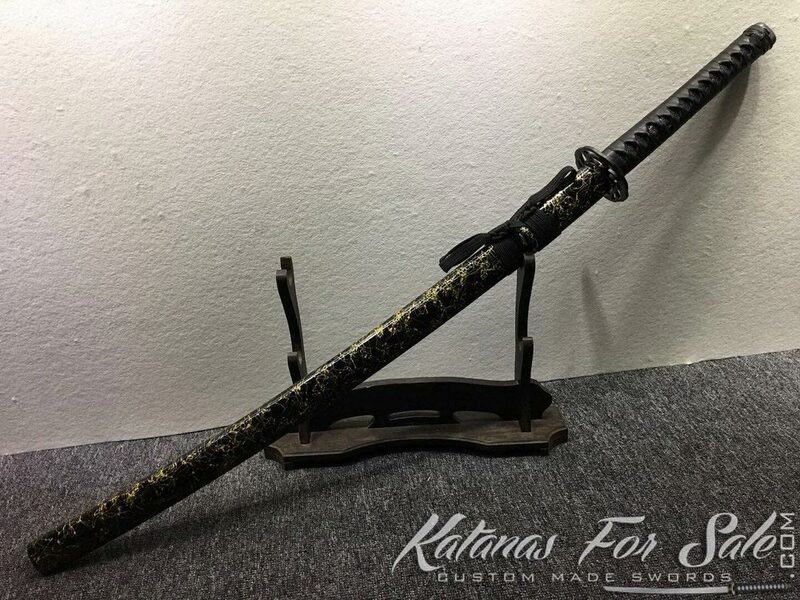 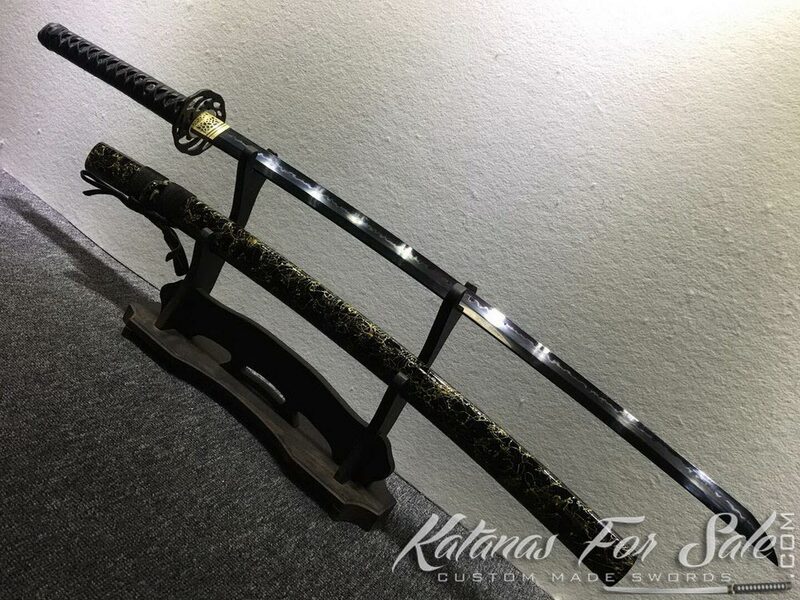 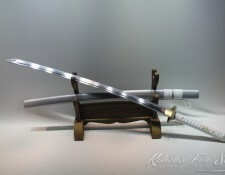 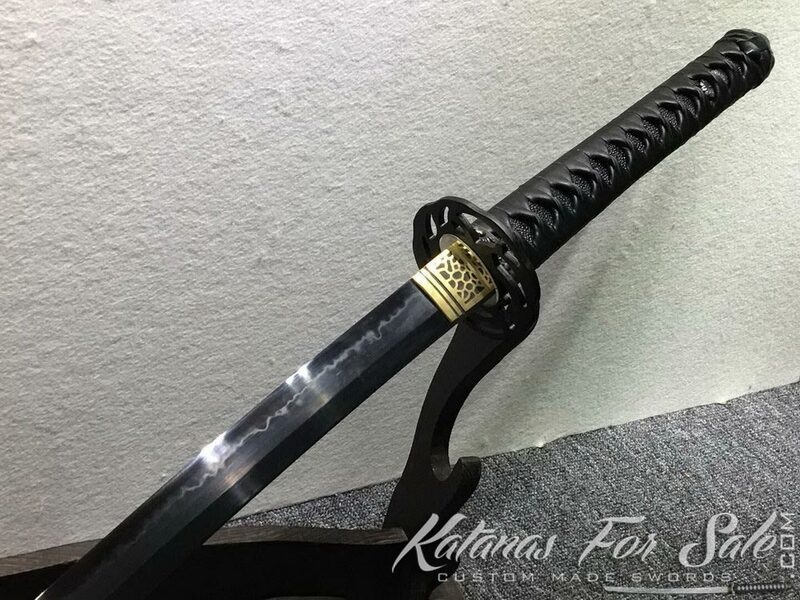 This black blade Katana sword is made of T10 steel, the blade has been differentially hardened and treated with black acid dye. 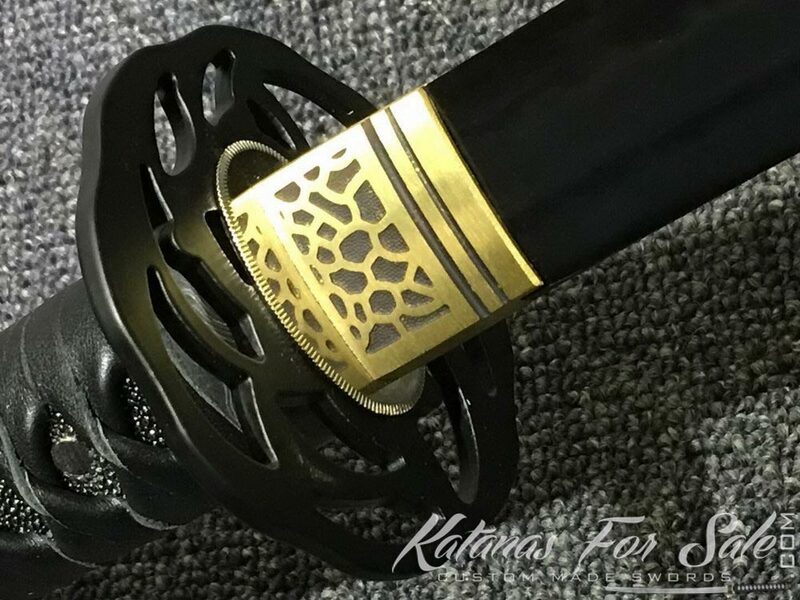 it feature a Choji hamon that has been further enhanced by the Hadori polish, it has full black theme with authentic black leather wrap and ray skin samegawa. 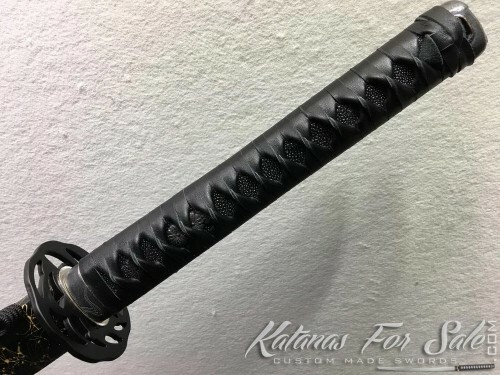 This black blade Katana sword is made of T10 steel, the blade has been differentially hardened and treated with black acid dye. it feature a Choji hamon that has been further enhanced by the Hadori polish, it has full black theme with authentic black leather and ray skin samegawa. Tsuka (Handle): Black leather wrap with black ray skin samegawa. 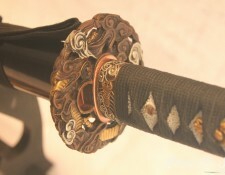 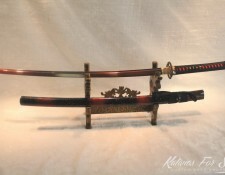 Saya (scabbard): black lacquered wood saya with gold pattern.